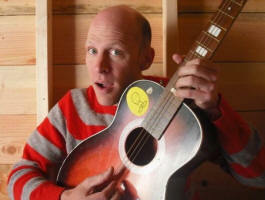 Caspar Babypants is Chris Ballew from The Presidents Of The United States Of America. 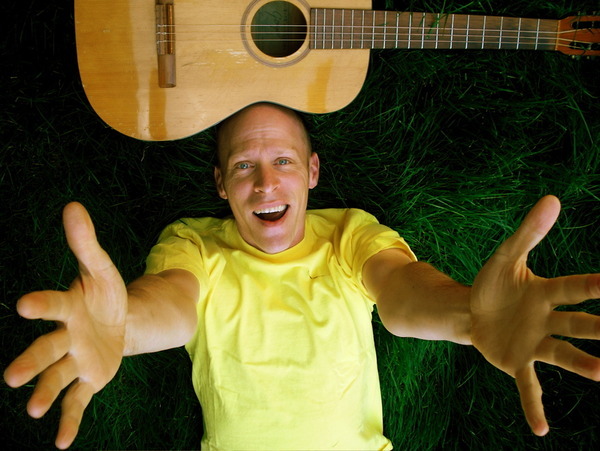 "Ballew's first brush with children's music came in 2002 when he recorded and donated an album of traditional children's songs to the nonprofit Program for Early Parent Support titled "PEPS Sing A Long!" Having a son and daughter himself, he enjoyed making the record but didn't think about it again until 2008 when he discussed working on a children's book with his wife, collage artist Kate Endle. Ballew began digging up nursery rhymes and folk songs in the public domain, songs that have been reinterpreted and passed down through generations. This, in addition to a number of original songs, formed his first full-length release, "Here I Am!" Click a song title to see the lyrics. All You Pretty Babies This Is Fun! 2010 Jen Wood on vocals. Billy Pringle Here I Am 2009 Old English folk song. 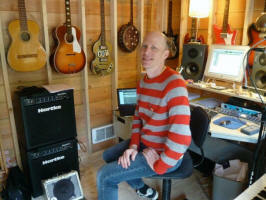 Bug In The Cuff Here I Am 2009 Originally written in 80's by EGG (another band by Chris) "bug in the cuff of my pants"
Candy Cane A Cigar Box Christmas 2010 (compilation) 2010 Free 40-track MP3 compilation featuring Candy Cane from Caspar Babypants. Itsy Bitsy Spider PEPS Sing Along 2010 Different version than what is on More Please!? Long Long Dream Sing Along! 2011 Weird All plays accordion. Monkey River Here I Am 2009 There are at least 15 versions of this song done by Chris with his various side projects. Silly Bird Unreleased studio track 2010 "wrote a new song after a Leadbelly record called Red Bird...mine is SILLY BIRD and he builds a car out of moss and bits...."
This Is Fun! 2010 Nirvana cover song. With Krist Novoselic on bass. Sugar Ant Fun-Raisers! 2010 Available on babypantsmusic.com only via donations. The Cuckoo (demo) MP3 2010 Unreleased studio demo. "This is an old hillbilly tune about gambling that I simplified and turned on its little head and made a new part for and changed the words!" The Softest Guitar On The Moon Unreleased studio track 2010 Uncirculating.